As a result of foreclosure, a homeowner will lose their rights to the property. Foreclosure occurs when real property is sold to satisfy an unpaid debt; this type of loan is usually held by a Mortgage Company, bank. On the first Tuesday of a given month is when foreclosure takes place according to Texas laws. Regardless of any public recognized holiday, the foreclosure sales will occur anyway. It can be a stressful situation when your house is at the risk of foreclosure due to non-payment of your mortgage. To help make the impact on your life as little as possible there are many options to help stop foreclosure. Foreclosure problems do not go away, do not wait until it’s too late!! In the event you fail to make your loan payments, your home can be sold at the request of the lender without any court intervention since Texas is a trustee state. The lender will send a letter that allows at least 20 days to pay the default on the loan before starting the foreclosure process. Once the lender mails you a notice showing the amount due and the sale date, this means the given period has expired and the foreclosure process has started. Communication is key if you find yourself having financial troubles and are unable to make your monthly payment. Looking to eliminate a monthly payment like cable TV, cell phone or even a second car to help reduce your spending. Create a list so that you can compare your monthly spending to your monthly income to help determine what kind of shortfall you have. Be sure to open ALL notices from your lender. Consider assets like investments, whole life insurance or jewelry which can be sold to help bring you current on your mortgage payment. Whatever option you choose must be contemplated with professional assistance since one mistake can cost your home and considerable financial loss. You need to know what options you have if you want to stop a foreclosure. You need to be aware of the mistakes people usually make facing foreclosure. You don’t have to pay a fortune either, professional assistance like what you receive from Vision Property Investment Group can help you when it comes to stopping foreclosure in Texas and is absolutely free. Talk to your lender about a payment modification – Contacting your mortgage company may afford you the opportunity to set up a payment modification plan to lower your payments to an amount you can pay. Homeowners may still struggle to make their payments so it’s not always the best way to stop foreclosure but this option works for some. 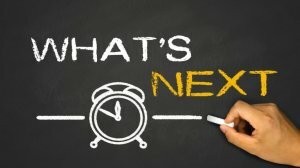 You’ll have to work out your new payments with your lender. Modification plans are unlikely to happen at times as some lenders are reluctant to work with homeowners. Ask for a forbearance – A forbearance temporarily stops your mortgage payments without penalty. Lenders don’t usually tell struggling homeowners about this option, but the process can be as simple as filing the right paperwork. However, a forbearance is only possible if you’ve kept up your mortgage payments and are in good standing with your bank. File Bankruptcy – A lawyer will have to be hired to file bankruptcy. Filing for bankruptcy stops the foreclosure process immediately, many people don’t realize that you can halt a foreclosure by declaring bankruptcy. Upon filing for bankruptcy, your attorney will present to your mortgage company a plan for you that would allow you to catch up on your payments. The bank cannot foreclose on your home as long as you follow the plan created by your attorney. The obvious down side to filing bankruptcy is the impact to your credit, the necessary funds to hire a lawyer and the additional money to catch up on your payments but, bankruptcy is an effective way to stop foreclosure. Short Sale – A short sale allows the homeowner to sell the house for less than they owe. When your underwater in your mortgage, a short sale can be the best solution for homeowners although approval is required from their lender. A short sale can be hard to get approved through the homeowners lender, working with an experienced cash buyer who has prior short sale experience can help facilitate the process. Sell your house for cash – With the added benefit of having fewer sales fall through, if you are trying to get your house sold in a hurry, this process is usually very straightforward. The simplicity of selling to a cash home buyer makes this option appealing to a lot of people. First and most important you stop the foreclosure that is currently in process which will help you when needing to relocate as you will not have that foreclosure stain on your credit report. Working with a buyer allows you to put cash in your hand to payoff the bank, you may also have funds available to help you move if your home is worth more than you owe. 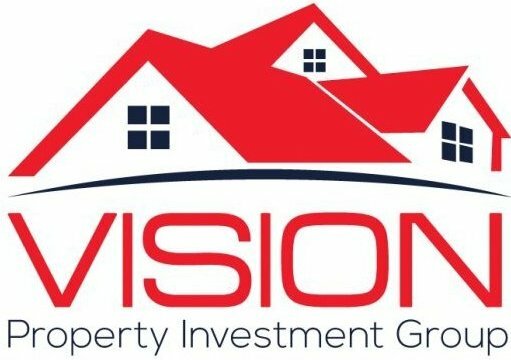 Upon analyzing your situation I’m confident that Vision Property Investment Group can help you find the best option of the ones listed or can come up with an even better custom solution to help stop foreclosure. Give us a call at 817-438-2282 or fill out the form today. Want To Learn How To Stop Foreclosure in Texas Now? You aren’t the first person to go through a foreclosure… and won’t be the last. So don’t feel ashamed, it happens.